After a somewhat interesting year,which will be terrible for those planning to be lazy TV watchers over the Christmas Break - all the reviews of the Royal Wedding, Libya, 28 series of Big X Factor Celebrity Jungle, eurozone crisis will be unending and unendurable - its enough to make one want to switch offf and head for the pub. Which is exactly what Nick Drew and Cityunslicker will be doing on 21st December from about 6pm. 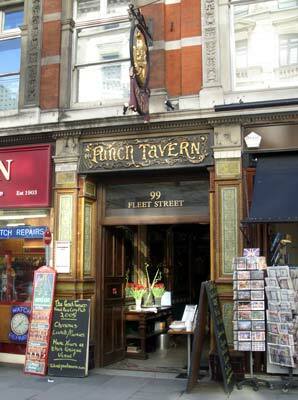 This year the chosen destination is the Punch Tavern in Fleet Street. Handily placed right opposite Goldman Sachs but only a short drunken stroll from the misguided hippies at St Pauls (though with the weather turning a bit colder surely their numbers will thin out soon by day as well as night). Anyway, a couple of rounds will be on us as per usual, so do feel free to come and join us if you are around in London. If you can't find us in the bar, as Sunil the owner and he will point us out. Have a good time, and raise a glass for your country cousins! Just around the corner from the orifice of fair trading too. Will be back oop north by then, but have one for me. I realise you may have made plans for tomorrow but if you are able to make your way to the top of the Kings Road/Partridges Food Market, please drop by the Pieminister stall anytime between 10am-4pm for your complimentary (award winning, Hand made) pie. Onward & Pieward for 2012 ! I am hoping to join you on Wed evening, probably briefly and earlyish, as I have another thing to get too later that evening, but hopefully I'll get there. I am escaping the Great Wen early this year, after today infact, so can't make it, have one for me. I'll look forward to seeing you there, boys! Just seen this, thanks for the head's up ND! Ah, I may show my face there too! Even though I seem to recall that last time I was at the Punch Tavern I asked about champagne and was told, "We've only got Blue Nun left". "Better than the rest of the gang of grumpy men who normally show..."
By the way, I won't get there until 7, at the soonest. Try to contain your excitement. And tears.